Diagnostic imaging touches so many points in healthcare that it can be hard to keep track of where an image's digital footprint goes. Now, medical imaging informatics is changing the path further. There's a lot of technology in play. For example, allowing images to interact with patient records -- perhaps a vendor neutral archive (VNA) integrated with an electronic health record (EHR) system -- is an idea many clinicians want to use in their daily duties. A standard way of capturing and accessing that data is a key point in this arrangement. And then there's health informatics, which has traditionally studied data created by EHRs and medical devices. Medical imaging informatics brings more direct ties to systems such as VNAs and picture archiving and communications systems. It may not be peanut butter and jelly, but integrating image data with medical imaging informatics seems like a combination made in digital heaven. So much of an image's potential resides in data points that can be aggregated, compared and acted upon, whether it's through a population health management approach or trying to identify diagnostic trends. Aside from the medical advantages of using image data more thoroughly, there are also big bucks riding on the imaging bandwagon. The global diagnostic imaging market might be worth $36.4 billion by 2021, an increase of $10 billion from 2016, according to estimates from research firm Markets and Markets. Why such a boost? 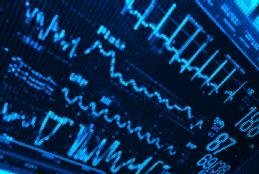 Increasing rates of chronic diseases worldwide, tech advancements in imaging equipment and the growth in standalone diagnostic imaging centers are all contributing to the market value, said Markets and Markets. It's reasonable to guess that imaging data opportunities play a part in this industry growth. This handbook explores the latest relationships among medical imaging informatics, AI and EHRs -- and how these relationships might work on an enterprise level. Learn about seven areas to watch when it comes to healthcare imaging data, including how informatics and artificial intelligence will use such information. As healthcare providers upgrade or replace their medical imaging technology, they should strive for an enterprise approach rather than keeping strictly to cardiology, expert says. The healthcare industry is still sorting out how to handle storing medical images in general. However, one issue is integrating that storage with the EHR. Weaving the science of health informatics and the data within medical images presents a tremendous opportunity for healthcare organizations in the future.